Also Available with other insulations: Kapton® ("KK"), PTFE Tape ("TFE"), FEP polymer ("FF"), High Temperature Fiberglass ("HH"), High Temperature Ceramic ("XC") or Silica Insulation ("XS"). OMEGA offers a wide variety of Special Limits of Error (SLE) Thermocouple wire. Available from stock in J, K, T, E and N calibrations in ready to use spool and coil lengths from 25 feet to 1000 feet! 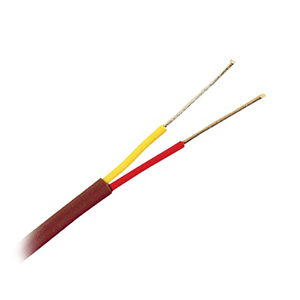 These SLE wires are available in a multitude of insulating jackets as well as protective metal overbraids.